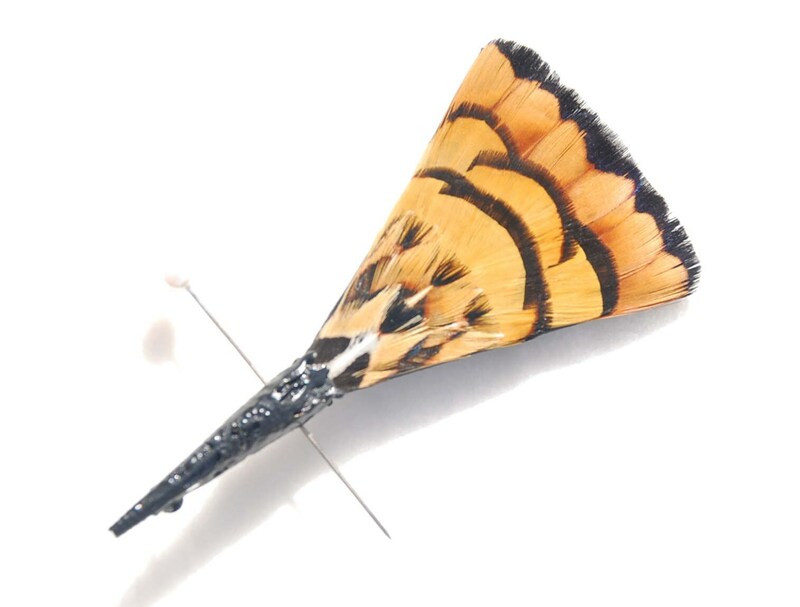 If your outfit needs a little more roar, and perhaps even a bit more bite, you cannot go wrong with the Tiger feather lapel pin from Plumassier Artist Tracey Telford. 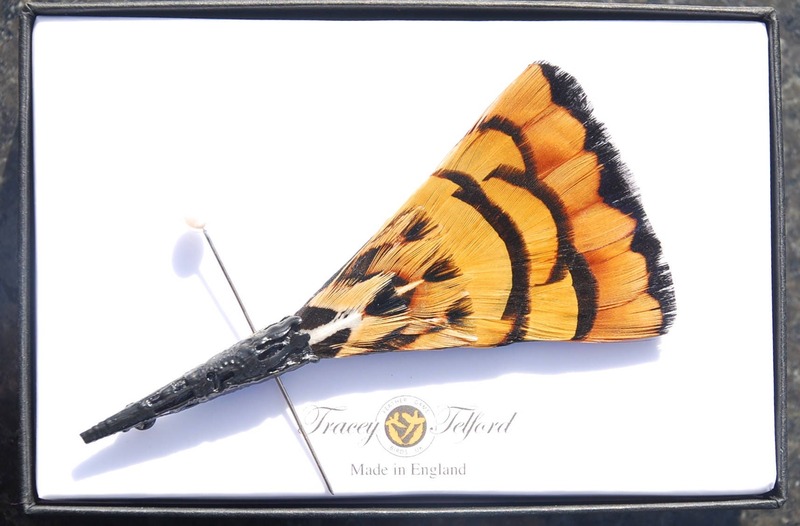 With it’s bright yellow, golden brown and black Reeves pheasant feathers, individually hand placed with precision on a quality black 100% silk base and available in a choice of either silver or gold coloured pin, the Tiger conveys a confident message of courage, strength, prosperity, creativity and love. The feathers are limited stock so the quantities available are limited. Arriving in a beautiful wooden roll top keepsake box, which can be personalised with engraving, this bow lapel pin set is also ideal as the perfect gift to mark any special occasion. Being individually hand made, it can also be made available on quality satin, and a range of others base colours can also be selected, to align with your preferred design aesthetic. 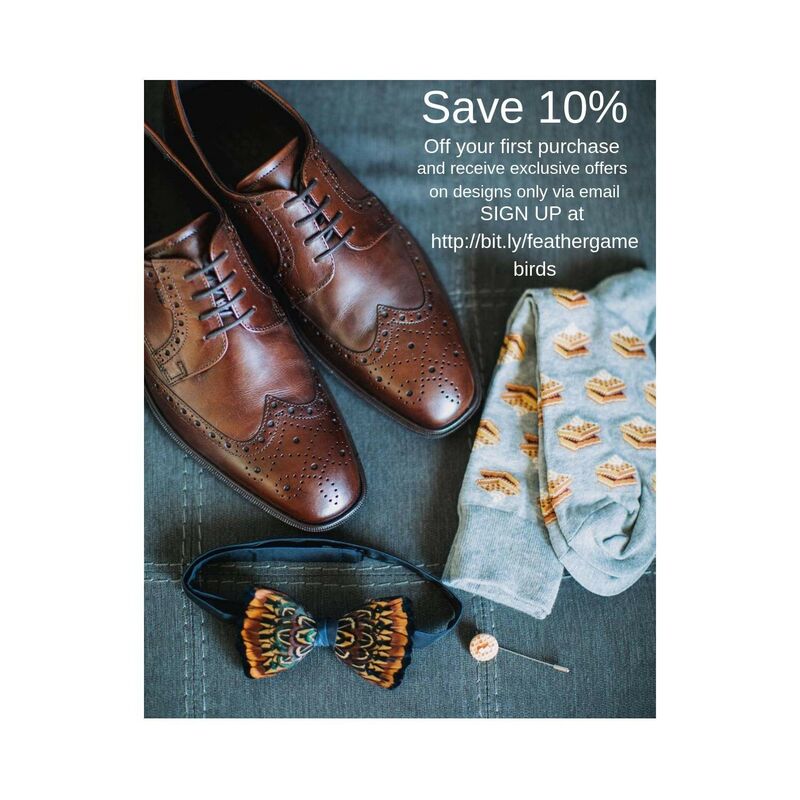 Complementing designs of feather bow ties, pockets, wrist corsages, hair clips, bridal bouquets, and fascinators are also available, making perfect design matches for group events, bridal parties and collectors alike.